Hi All. My Sister has given birth to twins on August 7th a bsby boy and a baby girl. The babies are born preterm( born in 7th month). 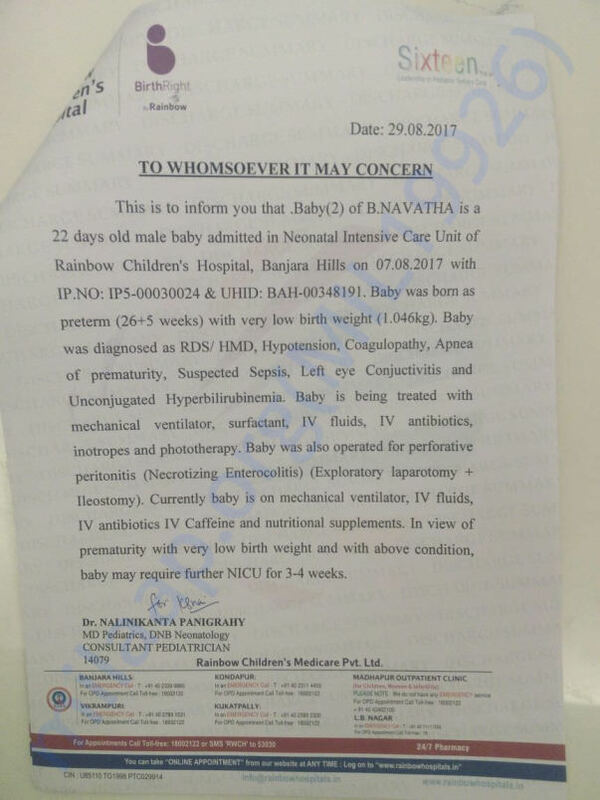 Now the babies are admitted in Rainbow Hospitals hyderabad and are in NICU. 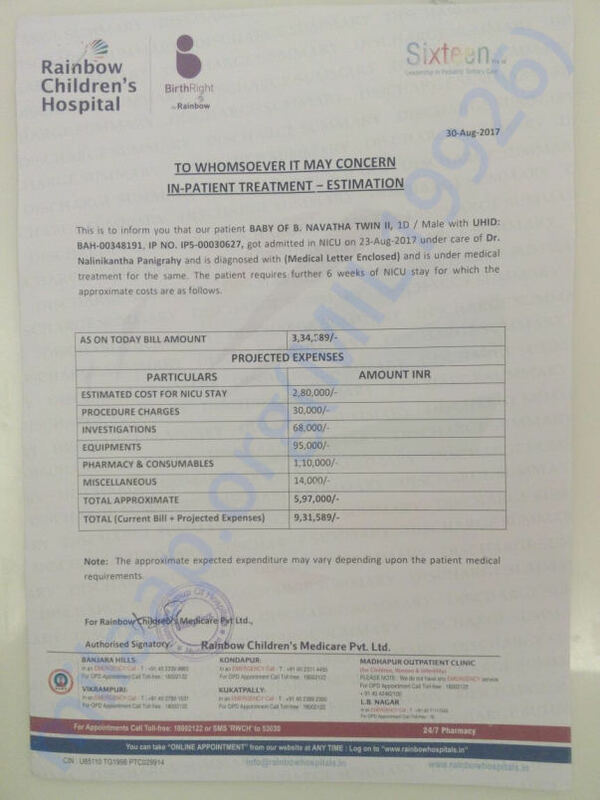 The total estimation of treatment is coming upto 16.5 lakhs. 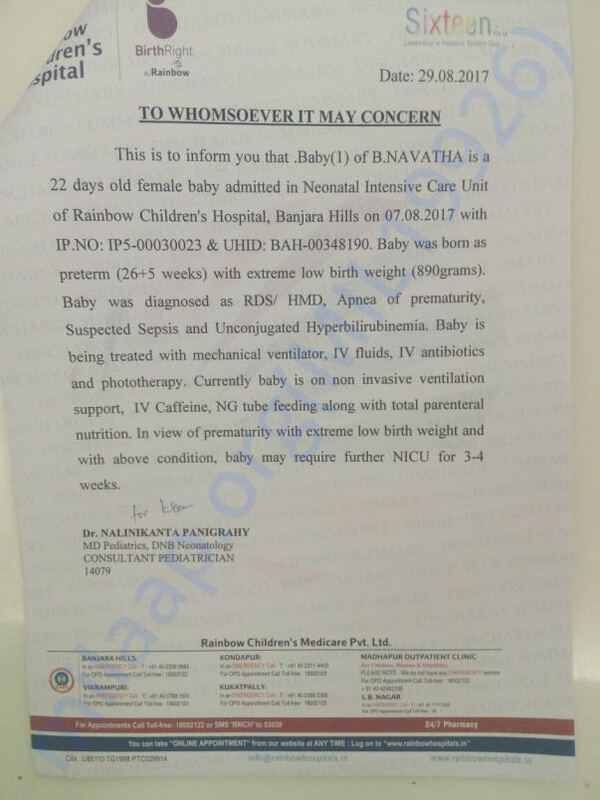 Requesting everyone to help the babies. First of all i wish to thank each and everyone for their care and suppprt. Actually there is a bad news and its very heavy to share with you all. One of the twin(baby girl) is no more. She was suffering from heavy potassium levels and brian related issue. The baby girl expired on 24th sep.
Coming to the baby boy, the baby boy is recovering. He is now doing his full feed and started to gain his weight gradually. 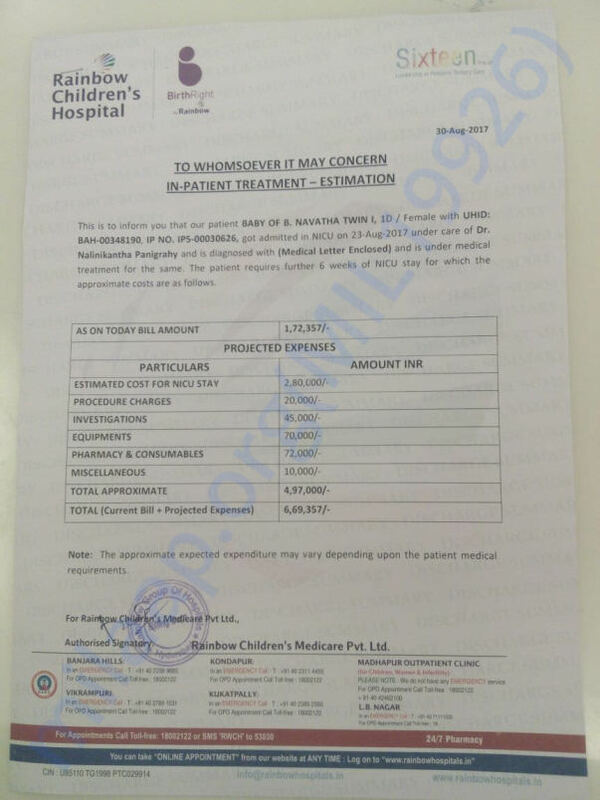 I hope you all pray for the little baby girl and also for the baby boy for his speedy recovery and continue your suppport for our campaign. 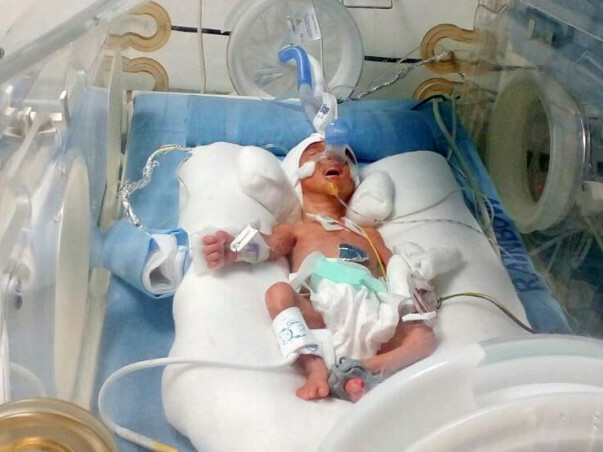 Twin1: The male baby was suffering from digestive issues.he underwent 2 surgeries a couple of days back. The operation was successful and he is now responding well. Twin 2: The female baby has started improving. But she has breathing trouble which is mainly because of the high levels of potassium, the doctors are treating her for the same. Thank you, donors, for coming forward and supporting us. Will keep you posted. Please do keep them in your prayers and share this campaign further with your friends and family. We are happy to inform you that Milaap is a running a matching scheme on our campaign. For every contribution made to our fundraiser, Milaap will add 20% of your donation amount till 12th September 2017.